Follow Up Question to Are We Subsidizing Developers with South Sewer Project? 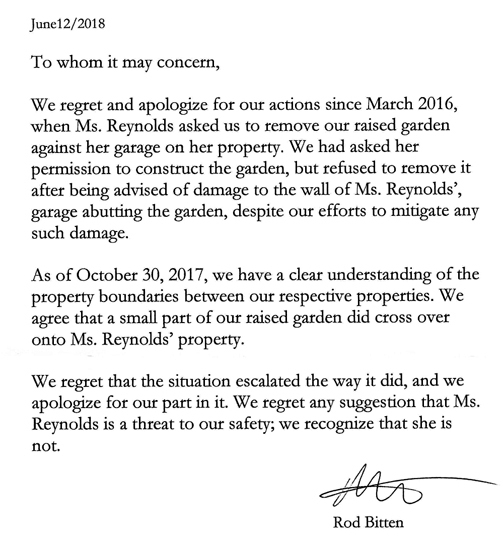 This is a follow up question to the answer provided in response to the question of whether the phase 1 landowners are subsidizing developers such as Kensington Island Properties who have remained silent and offered nothing towards the South Sewer Project. 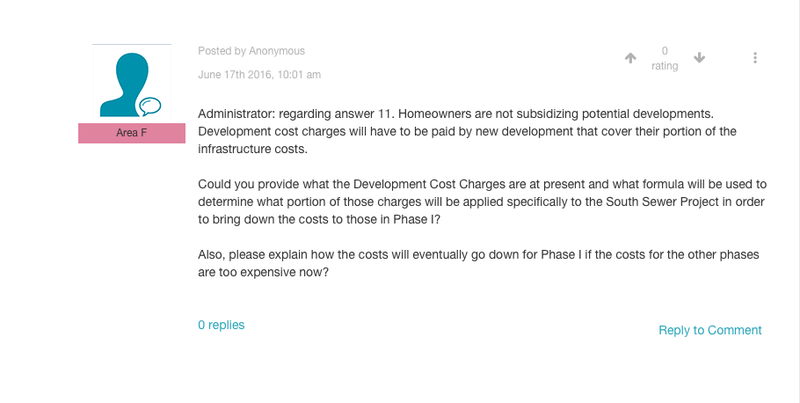 The question asks how the money paid by developers in Development Cost Charges will reduce the cost to the landowners in phase 1. Unless there is a formula where a portion of those DCC’s goes specifically to the South Sewer Project, the cost to landowners in Phase 1 will not decrease. It’s a free ride for developers south of Courtenay if there is no reflection in the DCC’s or a specific South Sewer fund developers in the area must pay into. I added the highlighting in the above. 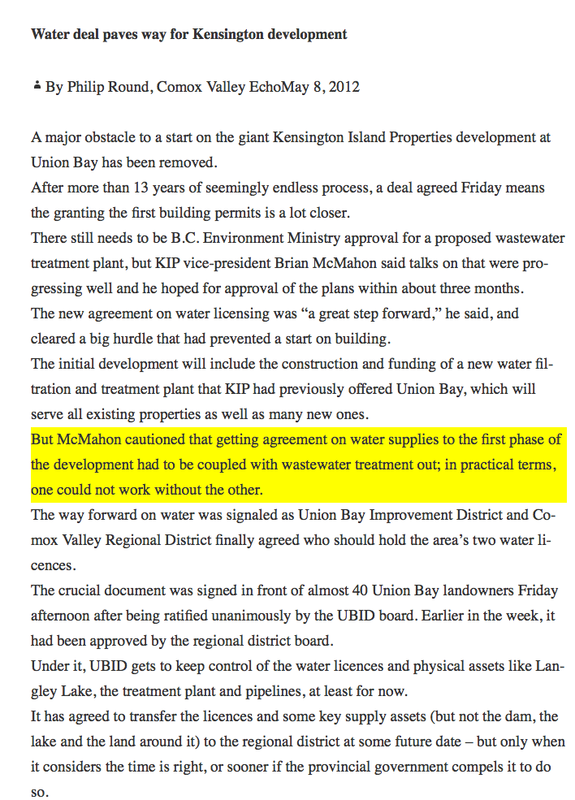 So why hasn’t there been a word from Kensington Island Properties regarding the South Sewer? Can’t have water without a wastewater treatment out so how is Kip Constanza going to go ahead with the project this year? What has KIP done since 2012 regarding the wastewater treatment?